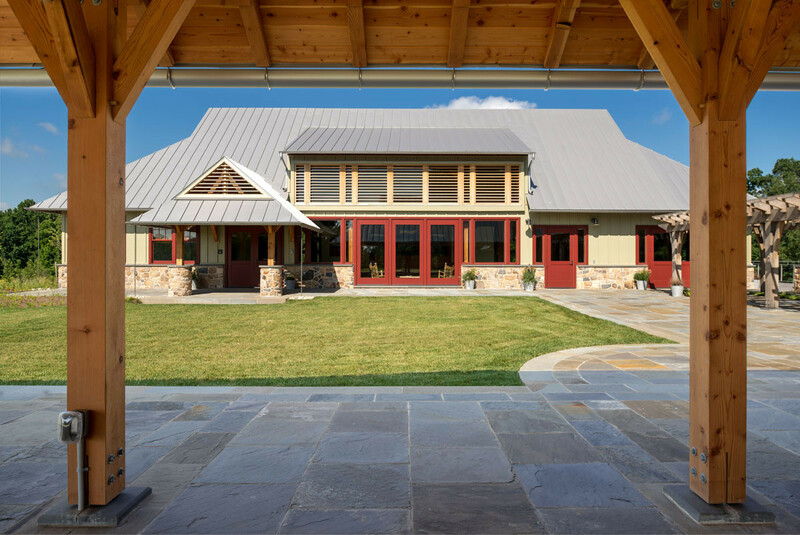 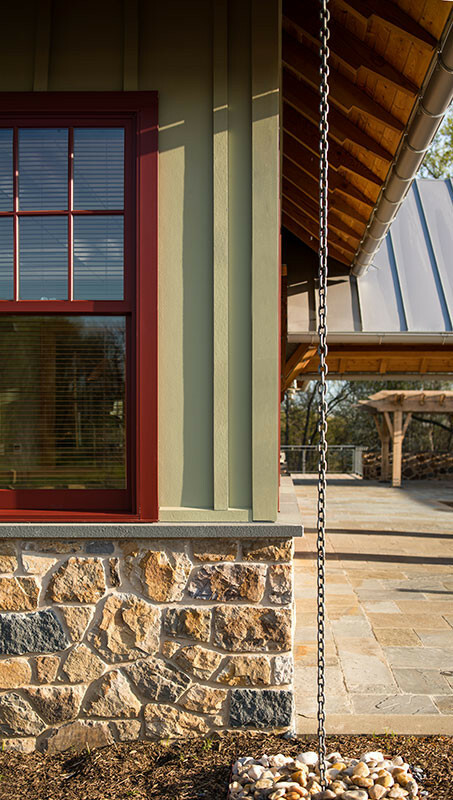 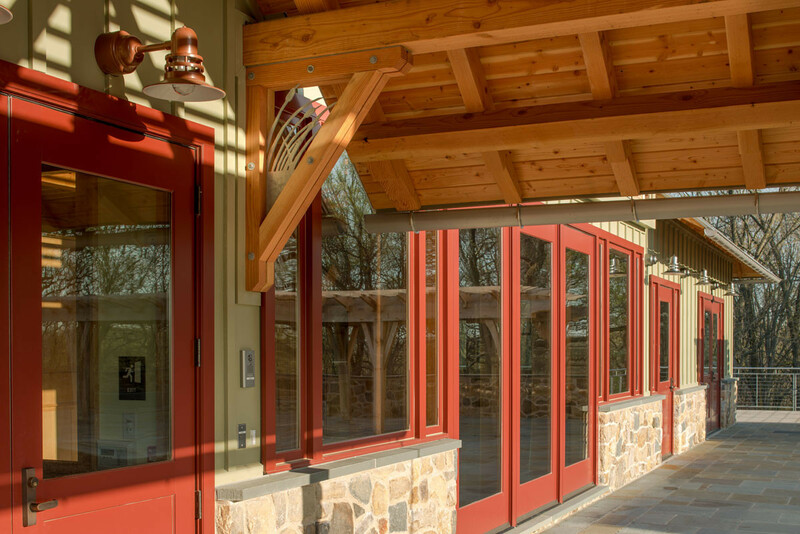 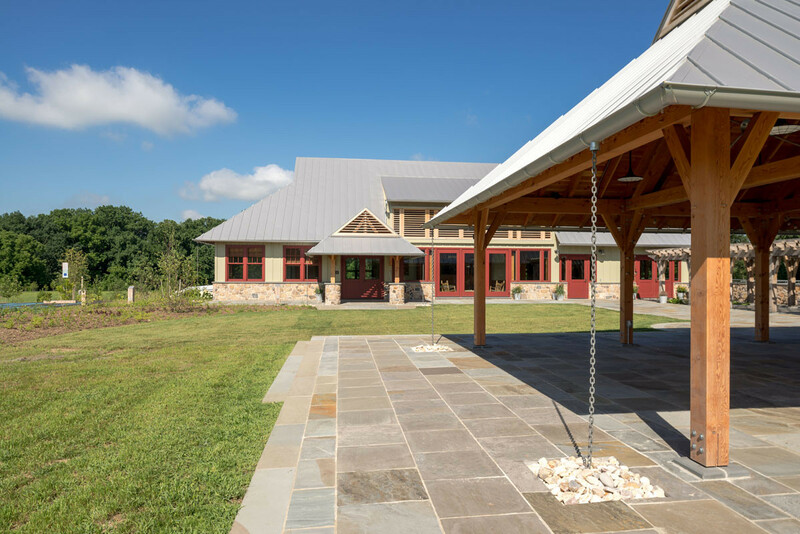 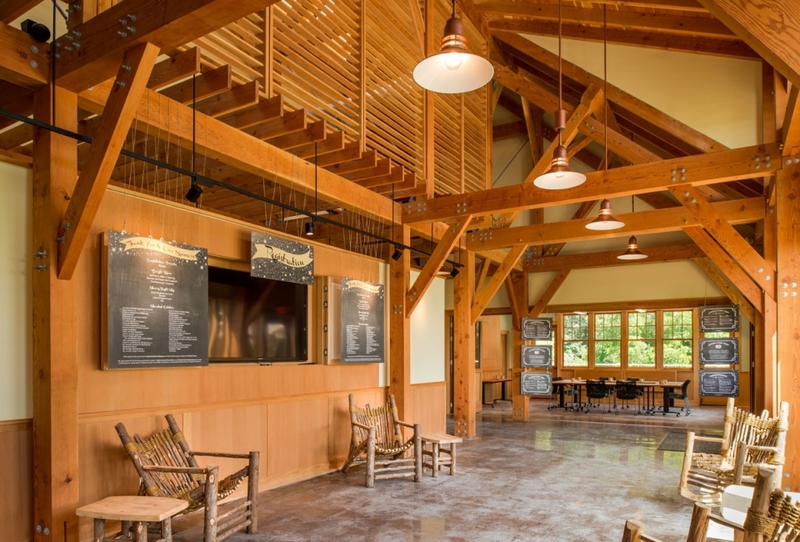 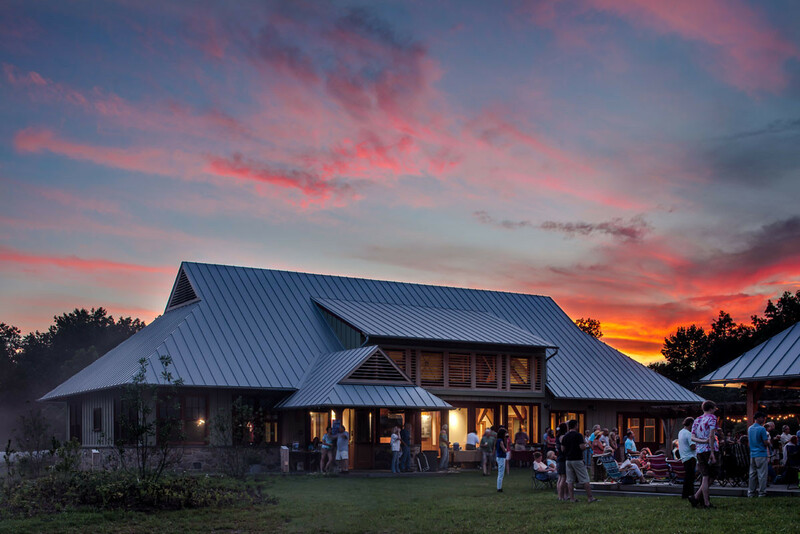 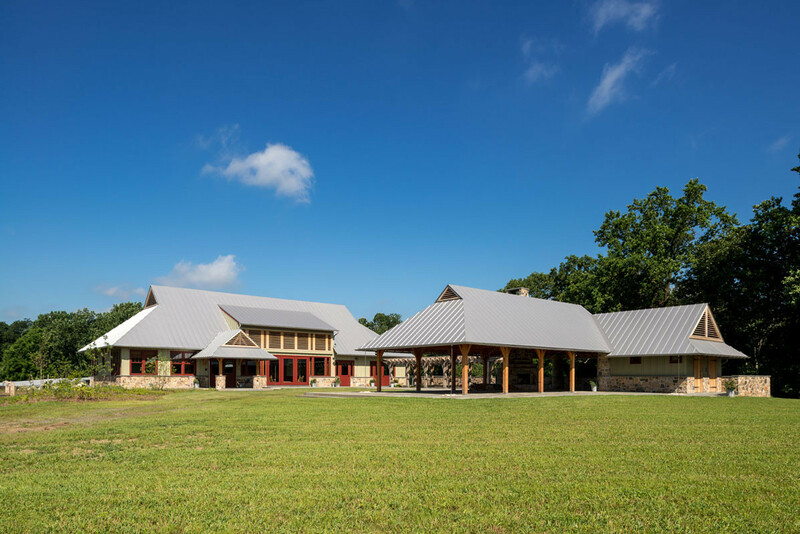 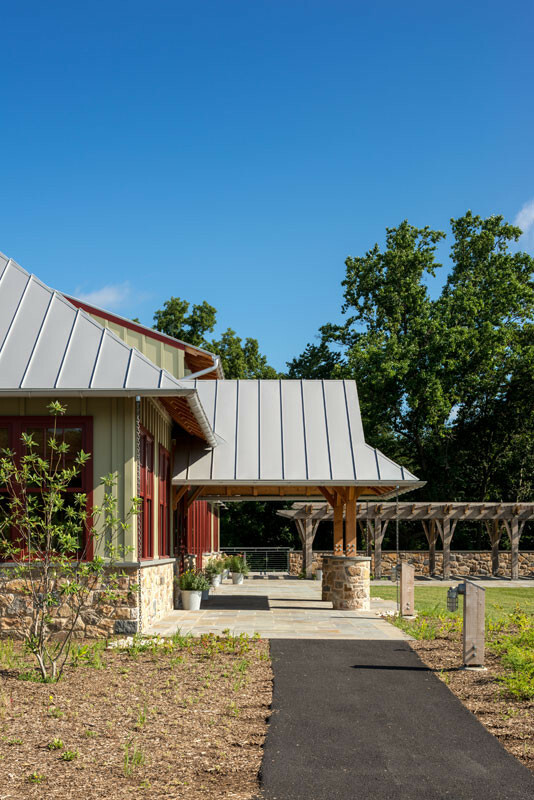 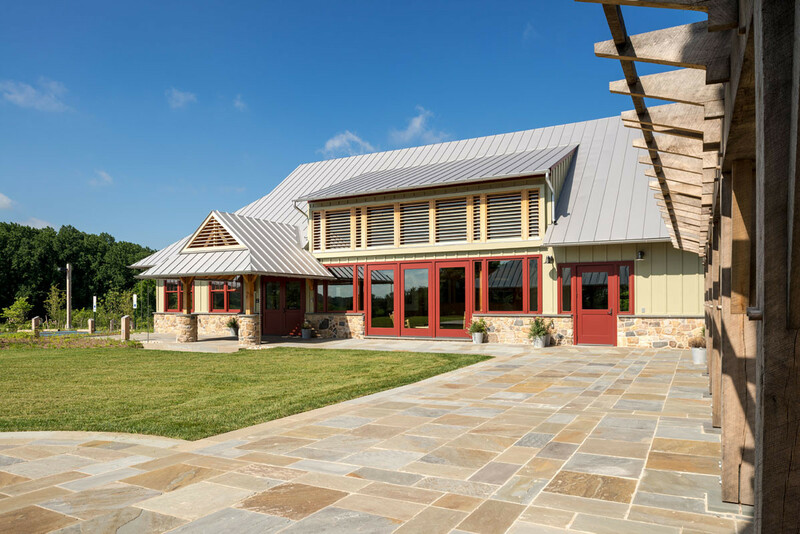 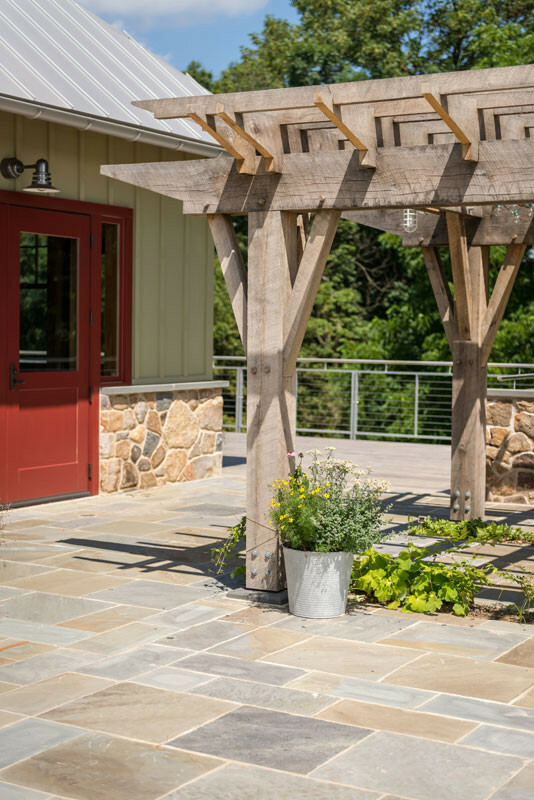 The Lenfest Center at ChesLen Preserve is a 9,300-sf facility from which Natural Lands Trust provides conservation and maintenance of the 1,200-acre ChesLen Preserve. 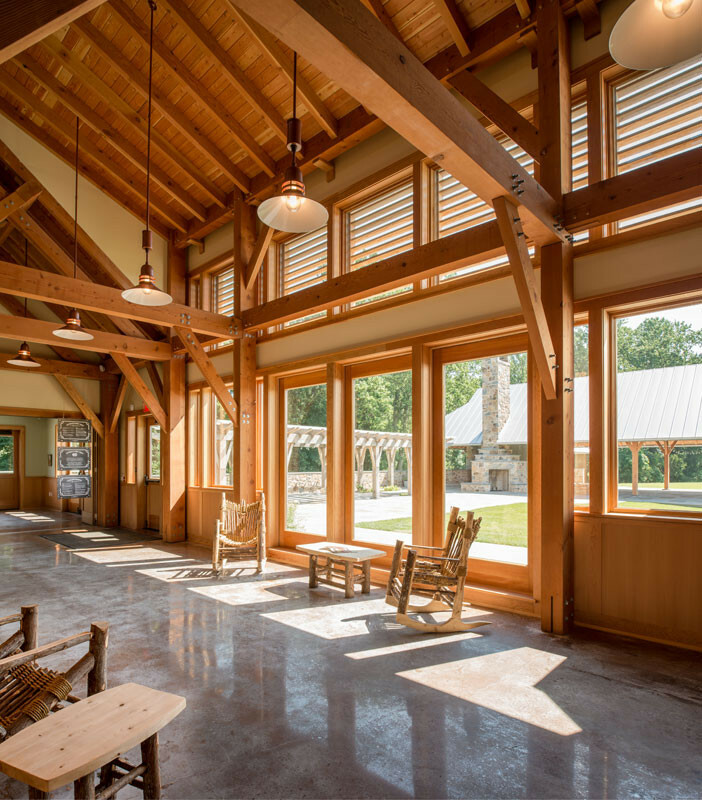 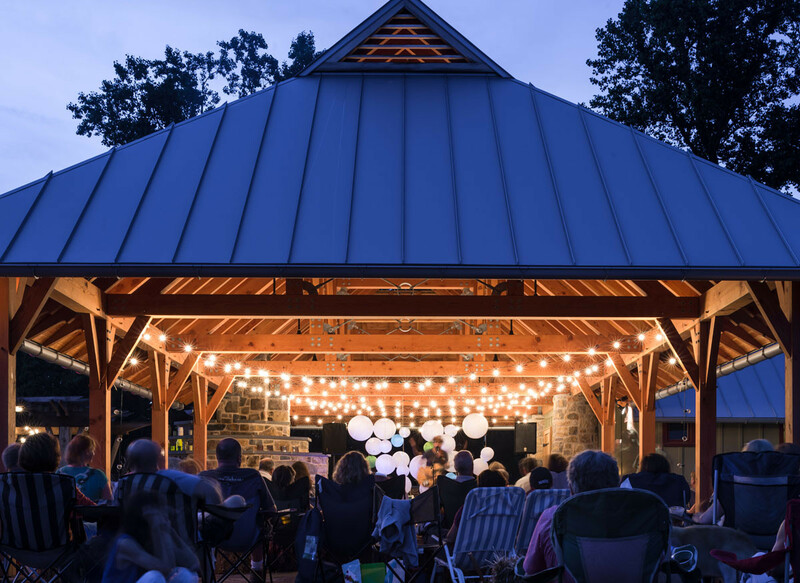 The indoor and outdoor gathering spaces are also used for public and community education and special events. 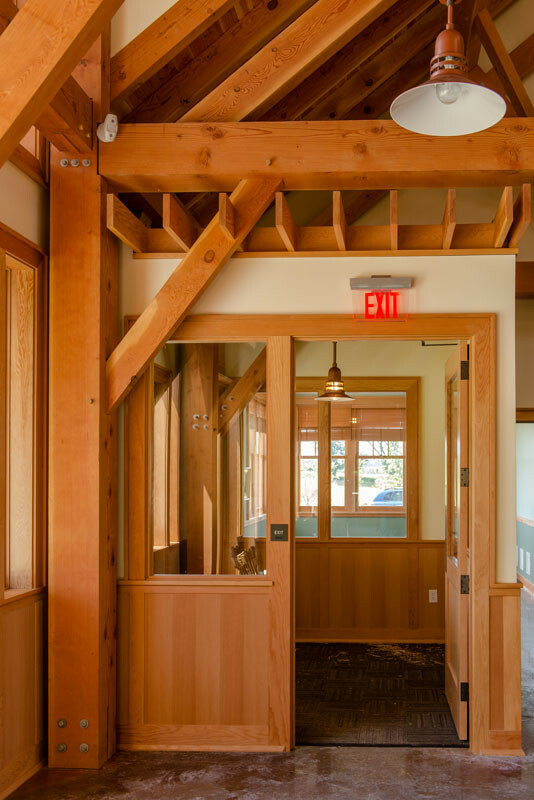 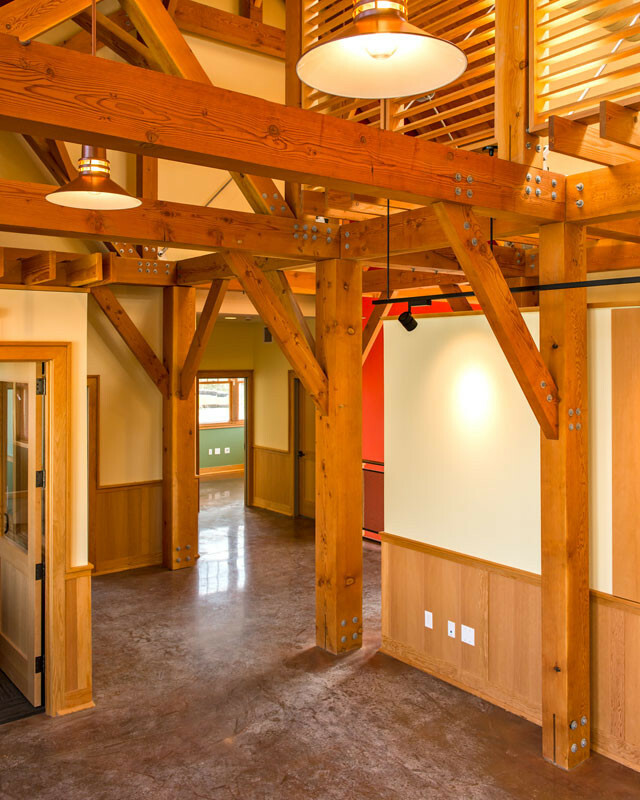 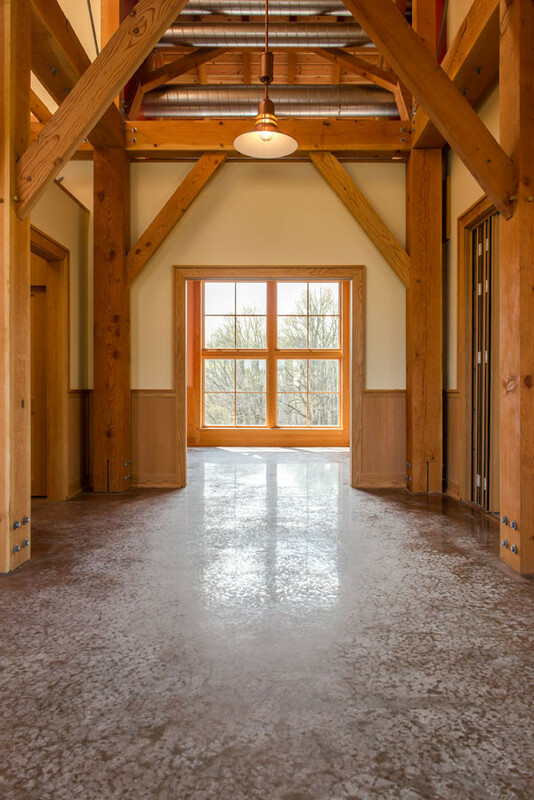 Hugh Lofting designers worked closely with the architect to design and build timber framing into this beautiful complex. 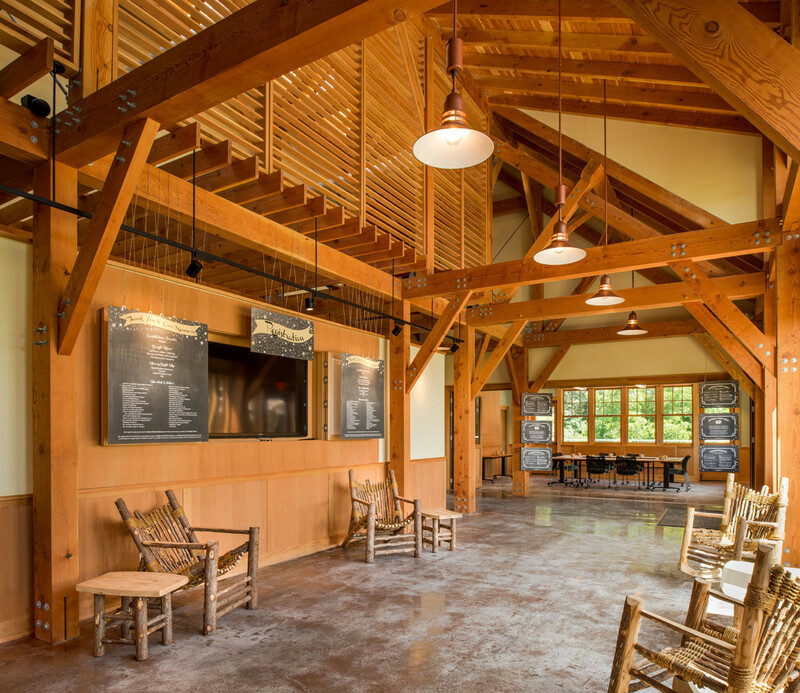 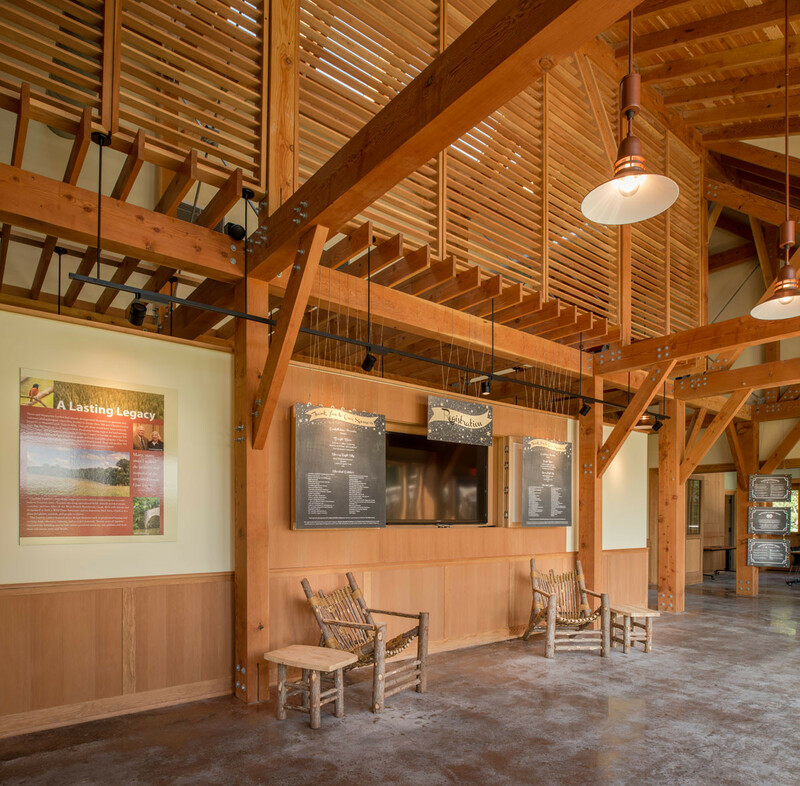 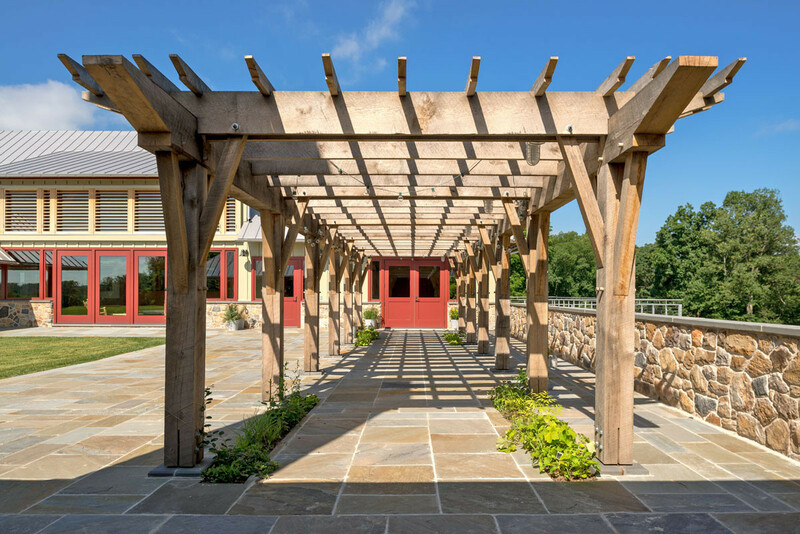 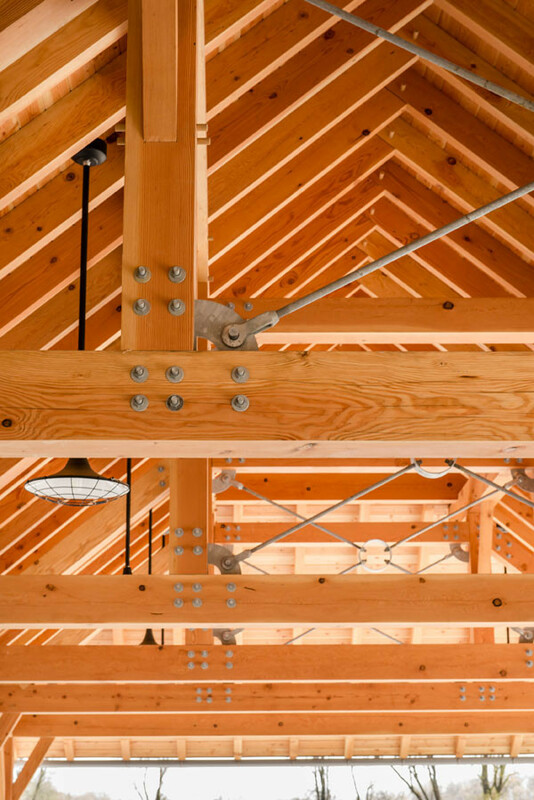 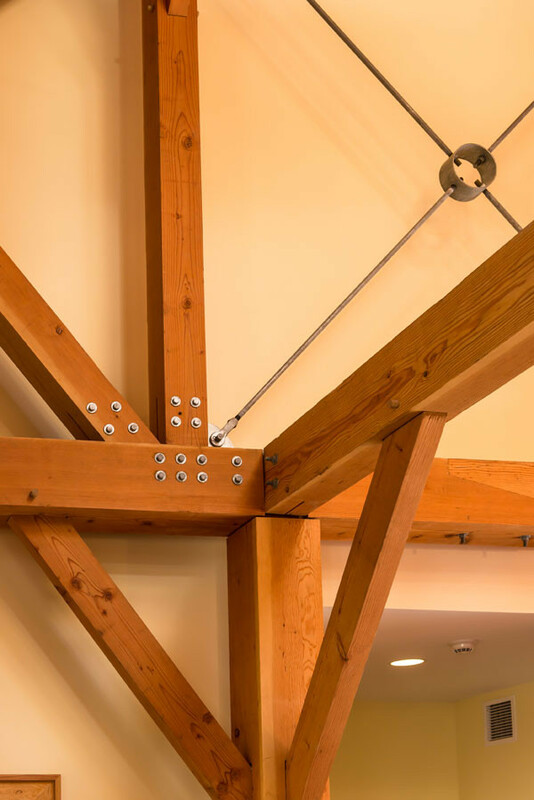 The main building and pavilion are crafted from Douglas Fir timbers complemented by an oak trellis. 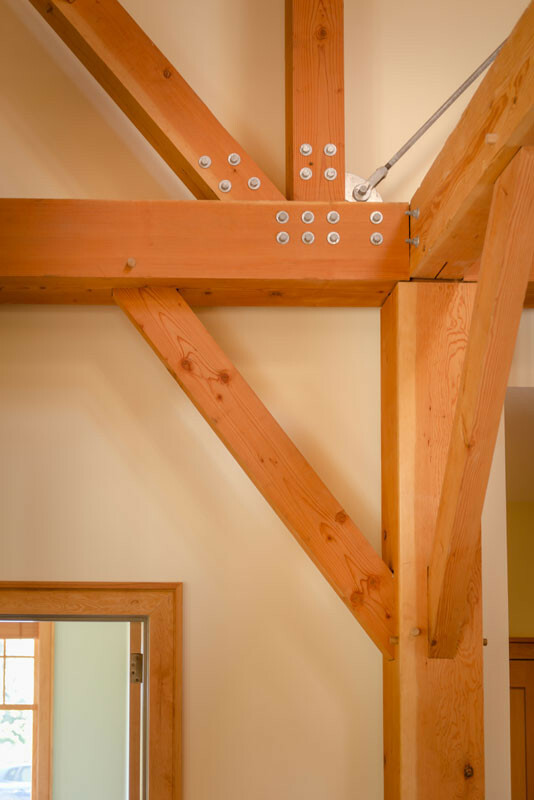 Architect: Archer & Buchanan Architecture, Ltd.